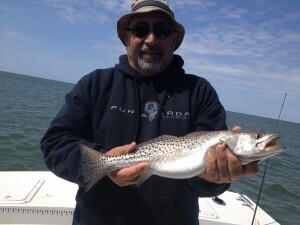 Speck Fishing is still running strong!!!!!! Walk-On next Tuesday, 29 May!!! 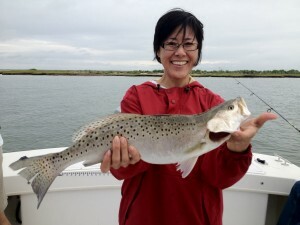 What a great week of Speck Fishing and mother nature is a honey! I’ve been fishing every day with great results! Certainly this May has smashed all May Speck records for my boat. My May count is up to 243 Specks caught in 18 trips. 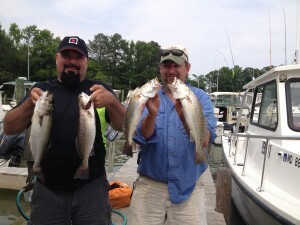 Not bad for Maryland waters! 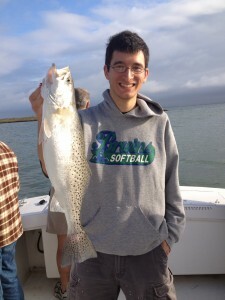 Most Specks have been 17-21 inches with a few bigger. They are all beautiful fish!!! Incredible Speck, beautiful smile!!! It just doesn't get any better!!!!! With water temps in the 70′s over in the islands Specks are certainly active quite often and ready to eat a lure. Most Specks have hit Berkley Power bait swim shads, BKD’s ( basskandydelights.com ) and Gulp 4″ swim mullets. Basically I’m approaching areas with current near points and sod banks, positioning the boat as to not spook fish in the area i think the fish are and throwing lures across the current. A slow but irratic retrieve near the bottom. If specks or Stripers are in the area they’ll nail it! Great college kid with a "gator" Speck......great job!!!! 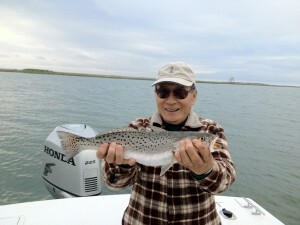 82 year old angler with his 1st Chesapeake Bay Speck! Priceless!!!!! Way to go Henry.....thanks so much for a great day!!! Love your family!! I think the Speck fishing will maintain for quite awhile. Specks haven’t been abundant for some time so I’m not sure exactly what they are going to do this summer. It’ll be interesting to see what they do and where they go. You can bet I’ll be following them very closely and try to figure out what they do all summer…..sure is nice to have them as a summer fishng option. 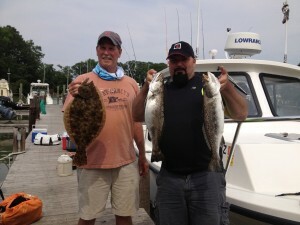 Great Specks and even a Flounder!!!! Cost is $120 each, I provide all baits/tackle and licensing. 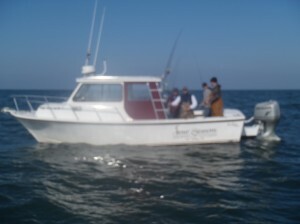 My boat is a Judge 27 Chesapeake with a full cabin providing a great ride to and from the fishing areas. Bring whatever you want to eat or drink. I’ll fillet fish at the end of the trip for no extra charge. 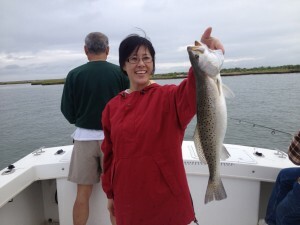 We’ll be fishing for Specks, Stripers and maybe even a flounder in the eastern shore islands. Everything is light tackle and we’ll be covering lot’s of area. Come on out and give it a shot!!!!! Launch time will be 530am right at the boat launch at Buzz’s Marina. We’ll fish until about 2pm. If you have any questions or want to book a spot give me a call at 703-395-9955. 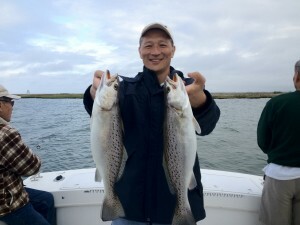 Posted under Fishing Report,Trip Opening,Walk-On Trip Openings!! !